I previously made note of the emergence of an authoritarian Creepy-state element in American government, enjoying bipartisan popularity with this era’s predominantly Boomer elite politicians, CEOs and academic activists. Largely because this growing surveillance state is directed at controlling the rest of us and eroding the democratic and legal accountability of a self-imagined superclass. Here’s a new (but unsurprising) wrinkle. The political-bureaucratic folks quietly building this incipient machinery of coercion already distrust and fear the men and women who are employed to run it. Evidently, the “Rise of the Praetorian Class“ theory has been widely read. WASHINGTON – One of the nation’s most secretive intelligence agencies is pressuring its polygraphers to obtain intimate details of the private lives of thousands of job applicants and employees, pushing the ethical and legal boundaries of a program that’s designed instead to catch spies and terrorists. The National Reconnaissance Office is so intent on extracting confessions of personal or illicit behavior that officials have admonished polygraphers who refused to go after them and rewarded those who did, sometimes with cash bonuses, a McClatchy Newspapers investigation found. Even though it’s aggressively collecting the private disclosures, when people confess to serious crimes such as child molestation they’re not always arrested or prosecuted. The agency refused to answer McClatchy’s questions about its practices. However, it’s acknowledged in internal documents that it’s not supposed to directly ask more personal questions but says it legally collects the information when people spontaneously confess, often at the beginning of the polygraph test. Even though it is against the law as well as internal regulations, the NRO management have given themselves the green light in a self-investigation to keep doing it to their own employees and anybody going through a security clearance background investigation – a vast number of people, many of whom have or will someday have incredibly sensitive positions in the defense, intelligence and national security communities. After a legal review of Phillips’ assertions, the agency’s assistant general counsel, Mark Land, concluded in April that it did nothing wrong. “My opinion, based on all of the facts, is that management’s action is legally supportable and corrective action is not required,” he wrote. -Establishing a system that tracks the number of personal confessions, which then are used in polygraphers’ annual performance reviews. 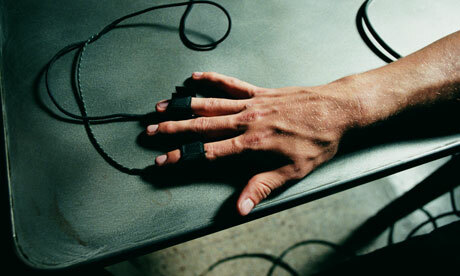 -Summoning employees and job applicants for multiple polygraph tests to ask about a wide array of personal behavior. -Altering results of the tests in what some polygraphers say is an effort to justify more probing of employees’ and applicants’ private lives. The charitable explanation is that all this is bureaucratic overreach motivated by tiny empire building and budget-padding in the age of austerity, where cybersecurity is one of the few “growth” areas of discretionary spending for senior bureaucrats to pursue. The cynical explanation is that these are blackmail files being compiled systematically and deliberately; to be used later to compel IC/DoD/DHS/DoJ employees to stick with an agency party line, intimidate and punish whistleblowers or use their official positions to engage in illegal misconduct to benefit politically influential VIPs. Like harassing American citizens or journalists critical of an agency or administration policy or special interests. There’s few good reasons for the government to do this – and those few are all narrowly related to genuine and specific security concerns we have had to live with since WWII – but many bad ones.